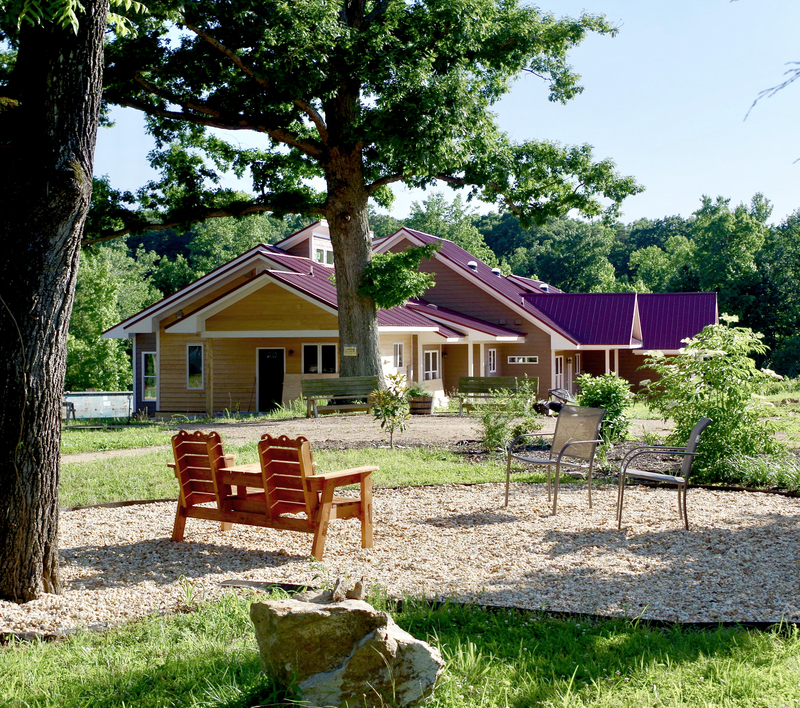 Elderberry is situated on a 10 acres in scenic, rural Rougemont, North Carolina, approximately 30 minutes north of downtown Durham. Durham, the home of Duke University, provides many cultural and learning experiences. Durham is also known for its many outstanding restaurants, arts and festivals. Elderberry provides a unique model for adults living simply and supporting one another as we grow older, continuing to enjoy the activities we love, with close neighbors and friends. A cozy community of 18 individually-owned, energy-efficient, universally-designed homes (duplexes and quadraplexes) where members may interact, work on projects, eat and play together, as we choose, and pursue our unique interests and spiritual paths. A large common house for cooking, group meals, exercise, music, dance, crafts, special events, guests and other activities is situated in the center of the community surrounded by a courtyard with paths connecting homes. As a rural community would imply, we have created community vegetable gardens and areas for animals with the intention of being mindful of protecting the ecological integrity of the land, with the goal of becoming an ecovillage, and as self reliant as possible. Elderberry is a self-managed, consensus-based community where all members have equal voice in decisions. The community was founded by three members of a nearby intentional community and is self developed.